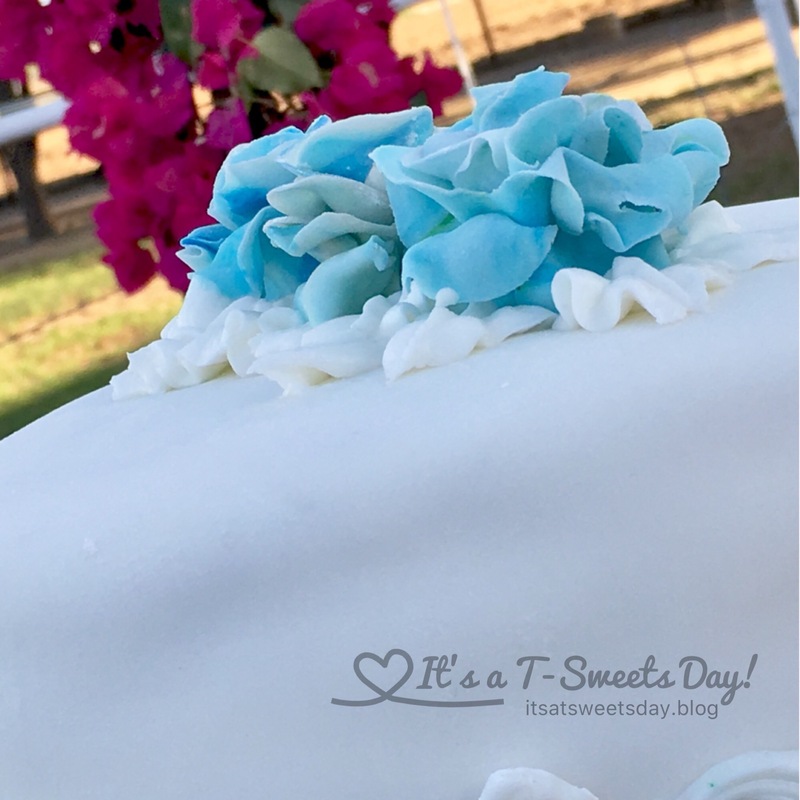 Wedding Cake Blues – It's a T-Sweets day! 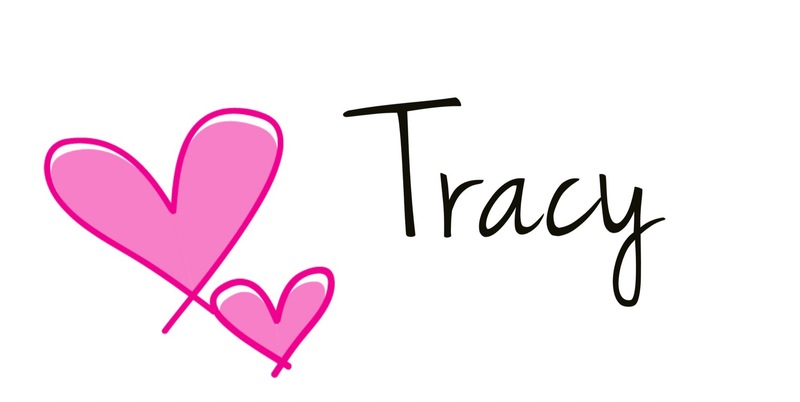 Published on April 9, 2017 April 9, 2017 by Tracy @ It's a T-Sweets Day! 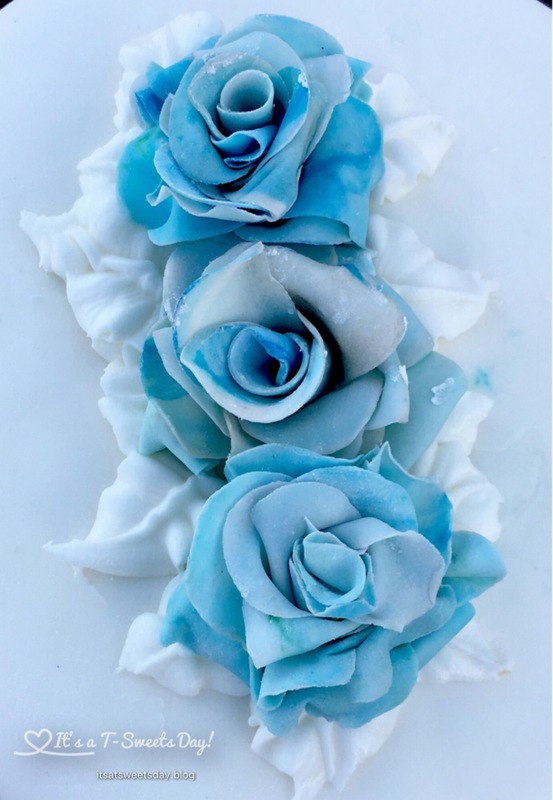 I was able to snap a few pictures of the beautiful blue roses though. My friend asked me if I would make the cake topper a few months ago. I of course said yes. I got out my cake decorating apron and the ingredients and then realized I didn’t even know the colors! I quickly called and was told, Tiffany Blue. Ooohh, pretty!! I immediately started making roses. Aren’t they pretty? The cake was a soft white cake with a lemon curd filling. My husband just went on and on about how good it tasted:). He is so SWEET! I know, right?! 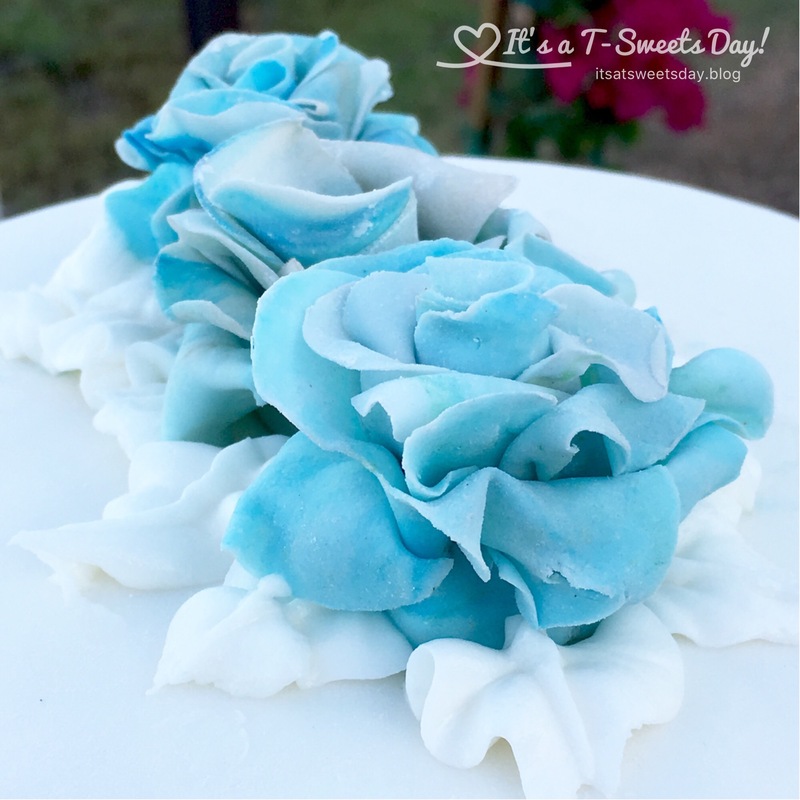 Nothing like a blue smile after eating a blue frosting flower:) It sure is fresh and pretty though. I hope you have a beautiful Sunday. Thanks for dropping by! That would be hilarious! I wish I could, it is fast Sunday at our house today, so please please post about your delicious muffins! But next time, I think it is oils be fun to pick a food in advance and “cook together” either with the same recipe or just see how the same food in different recipes turn out….you’ve got me thinking:)! That sounds like a possibility! I’m interested in trying that! Let’s do it Kathy! I will try to set something up this week and see if any others want to join in and then we can start a cook-along group:)! Fun fun! The color variation is what makes the roses so lovely, I think. Truly beautiful! Those roses look amazing! You have so much talent! Hey, if it tastes good– I’m in!!! You’re gifted! My mom made my wedding cake. I enjoy looking at designs. Oh! 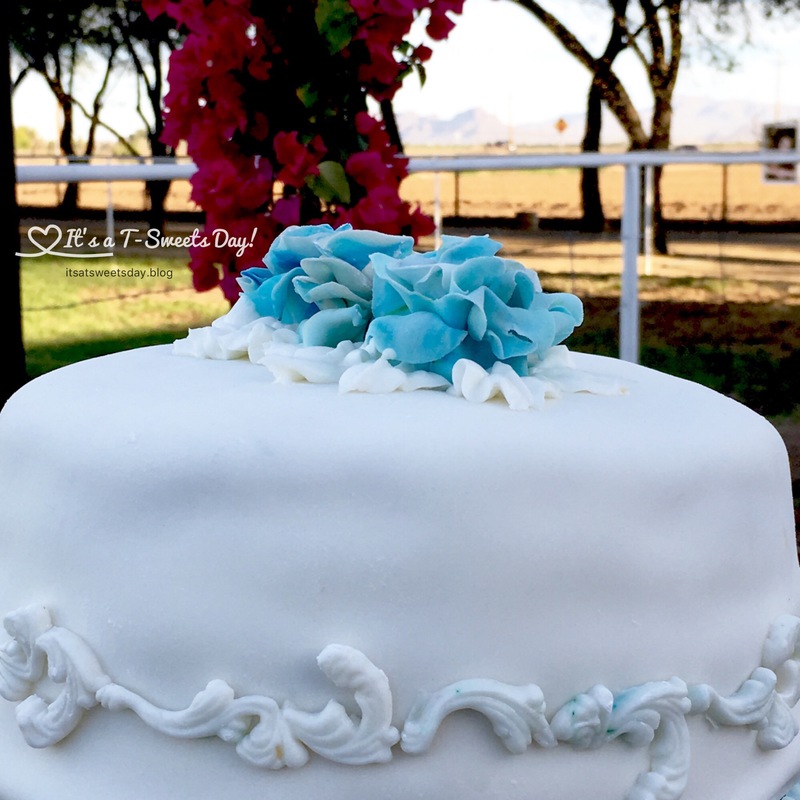 I love it when moms make the wedding cake:). It is such a labor of love❤. Thank you for your comment!